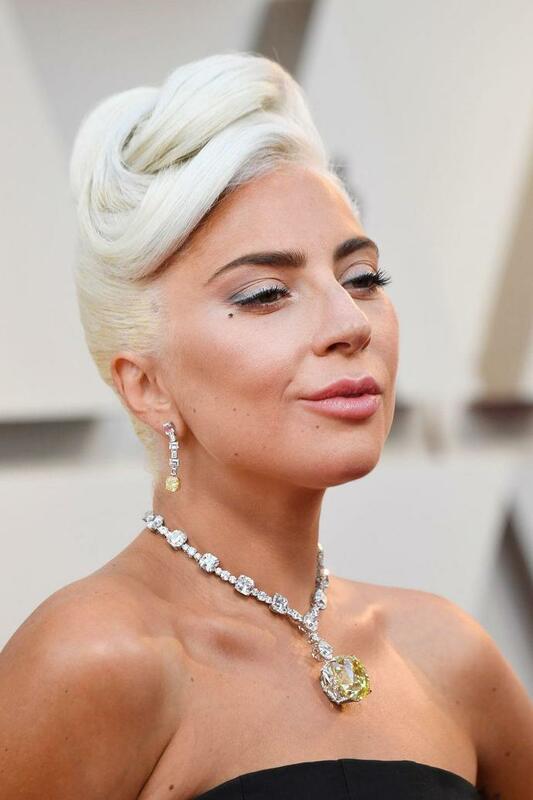 Lady Gaga ensured that all eyes were on her at the 2019 Oscars by wearing a Tiffany & Co necklace worth more than $30 million (£22.9 million). The 128-carat yellow diamond was last worn by Audrey Hepburn during the Breakfast At Tiffany's press tour in 1961. The precious stone was first discovered in South Africa over 140 years ago by Tiffany founder Charles Lewis Tiffany. "Lady Gaga is the ultimate creator, innovator and rule breaker, and I'm thrilled that she will be wearing the legendary Tiffany Diamond on the awards show red carpet for the first time since it was discovered 141 years ago," Reed Krakoff, Tiffany & Co chief artistic officer, said in a statement published by People. Other than Hepburn, the only other person to wear the valuable piece was socialite Mary Whitehouse who debuted it at the 1957 Tiffany Ball in Newport, Rhode Island. It has also been showcased in the brand's Fifth Avenue windows. Like Hepburn's iconic Breakfast at Tiffany's look, Lady Gaga teamed her yellow diamond with an elegant black gown, although hers was by Alexander McQueen rather than Givenchy. She too accessorised with elbow-length opera gloves which added heightened glamour. The silhouettes, of course, differed. Gaga chose a voluminous style with exaggerated hips, which offered a sense of modernity. The gown is arguably the star's most dramatic, yet elegant red carpet choice to date in an award season that has seen her develop fully into a screen icon as well as music icon.